This article is a travelogue written by Sri P. Kaushik based on his travel experience to Mukthinath earlier this year. Its a very useful guide for all those who are planning for a trip to Mukthinath. During a recent trip in April 2012, I had the great opportunity and pleasure of visiting the Muktinath temple located in Nepal. The temple is known as Thirusalagramam among Sri Vaishnavas. This travelogue will not focus on the history or the Pasurams in praise of the lord there. I want to discuss how one can reach such a place through alternate route, i.e., not by flight. I am a student and I could not spare enough money to make the expensive the flight trip. So I decided to take a chance and go by buses. I am currently living in Kharagpur and so my trip starts from Howrah (Kolkata). Reaching the Nepal border is quite easy as there are plenty of trains and buses available in Bihar and Uttar Pradesh to do so. Any the road journey to Muktinath begins from Pokhara, a city in Nepal located in central of Nepal. I would like to encourage the readers to use google maps in order to get an idea of the places. In order to reach Pokhara, one has to take buses from different points in the border. Pokhara is quite well connected as it is one of the larger cities of Nepal. The closest point in India from Pokhara is at the Bhairahawa border. There are plenty of buses connecting Bhairahawa and Butwal to Pokhara. There are no buses across the border as they have been banned for security reasons. So, one has to cross the border by share autos or rikshaws in order to enter Nepal and buses can be found immediately after entering Nepal. The route followed by me was to enter Nepal from Bihar through the border in Raxaul as it is more easily accessible border point for people travelling from the eastern part of India. Once reaching Raxaul border there are Tongas and share auto rickshaws right outside the station who take you into Nepal. 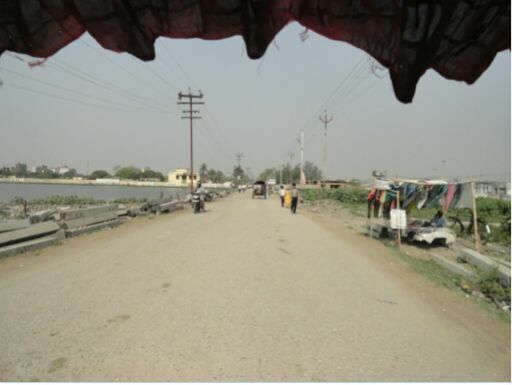 The border post from Raxaul railway station is barely 750 meters to 1 km, a walk able distance. The Birgunj bus stand which is the destination however, is about 5 kms from the border inside Nepal. So the tongas and share auto rickshaws fare per person about Indian Rs. 30 to 40 for travelling from Raxaul railway station to Birgunj bus stand. There are plenty of buses direct from Birgunj to Pokhara, and last bus being at around 2 or 3pm. The fare of the bus from Birgunj to Pokhara is about Indian Rs. 300 per person. Most trains reach Raxaul in the morning, so taking a bus will not be a problem. When travelling you might get people forcing you to change currency. As of today any denomination of Rs.100 and below of Indian currency is not banned. So one need not convert any notes below the Rs. 100 denomination. The exchange rate between the currencies is Indian Re 1 = Nepali Rs 1.60. On reaching Pokhara, one may need to halt overnight as most buses towards Jomsom direction leave in the morning only. There however, is no direct bus between Pokhara and Jomsom. For stay overnight, usually good hotels in Pokhara are located close to Phewa lake area. From that area, one has to take the mini city bus to Baglung bus stand, from where buses are available for Jomsom direction. The cost of the ticket in Mini bus is about Nepali Rs. 15 per person from hotel to bus stands. From Baglung bus stand one has to take a bus towards Beni, which are frequently available early in the morning. The cost of the ticket is about Indian Rs. 200 per person. The cost of the ticket varies with seat as well. The seats up front cost more than the seats in the back. One has to reach the place early in order to buy a ticket and get a good seat. The drive to Beni is about 5 hours. So, if you start early morning, you may expect to reach Beni by mid day. Beni is a very small town with nothing much to eat, therefore it is very important to carry your own food during the entire journey. 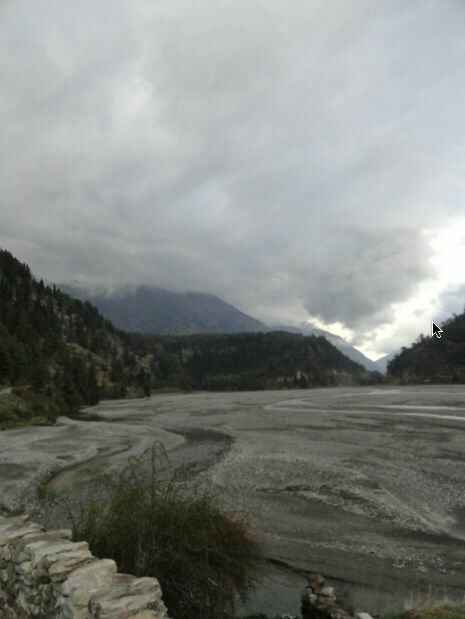 However, Beni is the first point in the journey where one can have the darshan of the holy Gandaki River. It’s from here that the bus route will follow the path along the river. The river will always be in sight next to the road. Also, just a few kilometers along the road from Beni towards Jomsom is a place where one can find the Muktinath Pravesh Dwar. It is probable that Thirumangai Azhwar proceeded towards the lord at Muktinath through this point. The road, however, from Beni all the way to Jomsom is a muddy and not tarred. So please be prepared for a jerky ride. The drivers are usually very slow, careful and very experienced in handling these roads. There is only one bus available from Beni direct to Jomsom, which leaves early in the morning at about 6.30 am. If you reach later in the day you might have to take a bus to Ghasa from Beni. Buses to Ghasa are quite frequent; there usually is a connecting bus to Ghasa from Beni, when the bus from Pokhara arrives at Beni. The drive to Ghasa takes about 4.5 to 5 hours and a ticket costs about Indian Rs. 350 for Indian nationals as opposed to Nepal Rs. 375 for Nepali nationals. During the ride from Beni to Ghasa you will find that there is quite a steep altitude climb and you may require keeping your woolens handy. The entire scenery is very beautiful and changes from ranges change from lower Himalaya in Beni to middle Himalaya in Ghasa. From Ghasa buses to Jomsom are available upto about 4pm in the evening. It is very important that you reach Ghasa before that as there are no decent places to stay in Ghasa as it is a tiny village. Again from Ghasa the ticket cost to Jomsonm is about Indian Rs. 350 for Indian nationals and lesser for Nepali nationals. The ride takes about 3 to 3.5 hours. The terrain now changes from middle Himalayas to the upper Himalayas. You may also see quite a lot of clouds, it is here that the last bit of rain falls and the mountains reach much above the clouds and do not let it penetrate and enter Tibet. It is a clear sight to see of how the Himalayan Mountains ensure that monsoon clouds remain in Bharat varsha and not move out. After passing the cloudy region, comes a rain shadow region, a region similar in scenery to Leh and Ladakh. This region is the abode of the lord. 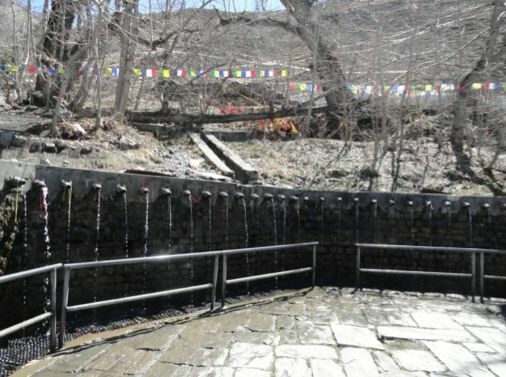 Jomsom is present in this region and there usually is acute water shortage in Jomsom. On reaching Jomsom, you may find that hotels do not allow people to stay unless they eat there. So you may have to end up paying for food even if you don’t eat. Dormitories are available at costs as low as Indian Rs. 400 per head with food. You may choose to stay in a hotel as well. As a student, I preferred a dormitory. 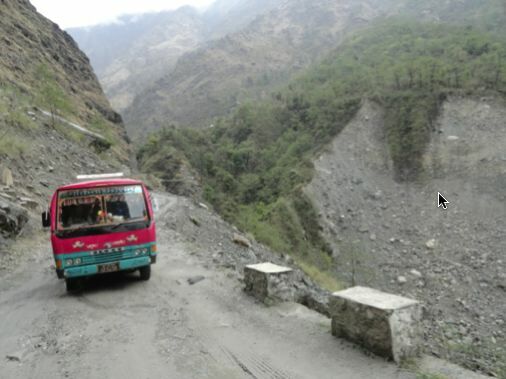 There are no buses from Jomsom to Muktinath, only Jeeps (Sumos) are available, because the terrain is quite harsh for buses and moreover buses cannot cross a bridge on the Gandaki to reach the other side of the river. So, only jeeps ply between Jomsom and Muktinath. One may inquire with the hotel people or locals as to where the jeep stand is, it is walk able from any hotel in the small town of Jomsom. It is best to leave for Muktinath from Jomsom early in the morning. The jeeps are share jeeps and take about 12 people on board and charge about Indian Rs. 400 per head for Indian nationals. The only problem one may face going in a small party is that they have to wait for more passengers so that the jeep gets filled up. You may end up getting more passengers once the flight from Pokhara lands in Jomson at around 7.30 am or so. It is better to go early and stand in the queue so that you can get into the first jeep out. Jeeps on the return journey also work in the similar way. Last jeep may be available till evening 4pm. It takes about 2 hours from Jomsom to Ranipuhawa, which is the last stop about 1.5 Km short of Muktinath temple. I suggest that travelers keep some medicines for altitude sickness; the height climb is quite steep. 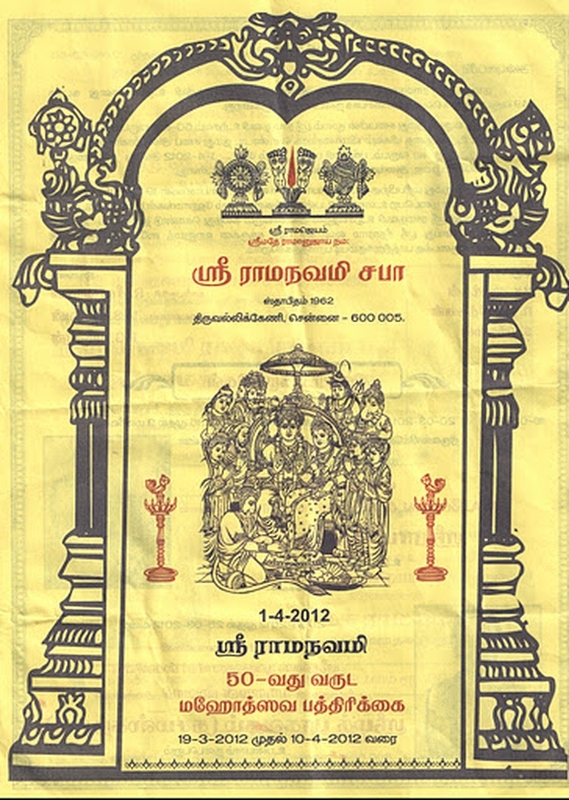 From Ranipuhawa, the pilgrims have to walk the 1.5 Km distance to the temple. The walk may be difficult for elderly people as the air is quite thin in the high altitude and the last reach to temple has about 80 steps, climb which may prove harder. There are motor bikes available for hire which take elders to the entrance of the temple. There you are at the temple. My suggestion is that, one need not take bath in the morning in Jomsom as the place is very cold in the morning and there is acute water scarcity. It is better to reach the temple and take your holy bath in 108 gangas, which is there in temple. Place is quite warm during the day after 9 am and the holy bath is quite refreshing. One may spend quite enough time at the temple. For, people interested, there is also a Shakti Peeth temple located about 200 meters from the Perumal Kovil. One may also take a holy dip in the Gandaki river down below near the temple. 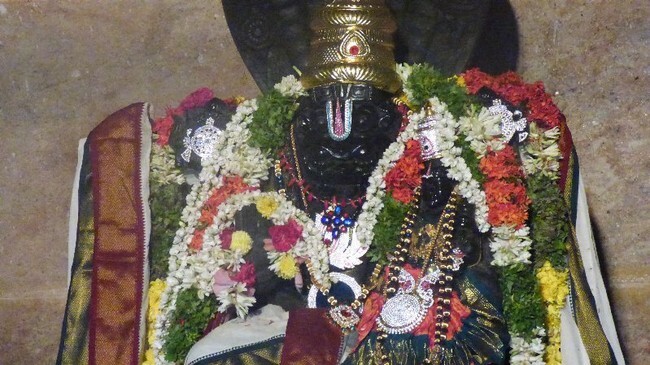 Apart from Srimoorthy Perumal, one may visit the Narasimhar sanadhi a little away from the main temple. In case you miss the last jeep out, there is a Dharamshala for stay at Ranipuhawa; Prasadam is also provided there. One may donate something as compensation. The return journey may also be done in a similar route. Again the bus timings are quite tight upto Beni. From Beni onwards, one may find more frequent buses as the roads are not so dangerous and it caters to larger population. If you leave early in the morning from Jomsom, you may be able to catch the direct bus to Beni, or else you have to do the same way as mentioned earlier; Jomsom to Ghasa and Ghasa to Beni. From Beni, again buses are available to Pokhara. From Pokhara buses are available to Kathmandu and other places including the border towns of Bhairahawa and Birgunj. Hope it will of help to other fellow devotees of lord Narayana. 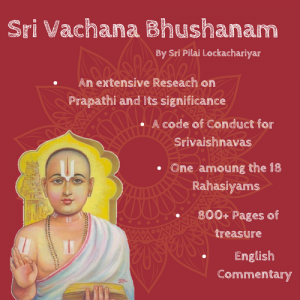 Very informative & excellent web site for SriVaishnavas. If Lord Narayana Wills it all his devotees will get the darshan of the lord at Muktinath. At the older age it may be difficult to travel by bus on those roads in Nepal. Flight may be better. Adiyen wishes that you and your wife are able to travel as easily as possible. I would like to dersan Muktinath. yes the best time is to travel during September to November is the best climate and weather is good. 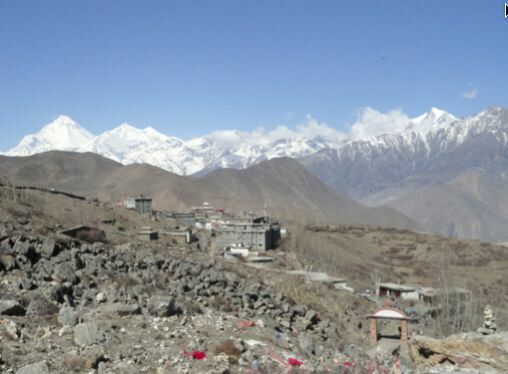 thanks for sharing about Muktinath.. which is 3800 m in altitude and is situated in Mustang district of Nepal. now a days road is often good than before.. Wonderful. We got the bhagyam of Badarinath yatra this year. adiyen has mentally travelled to Muktinath due to your above write up. We also cannot afford plane so this information is very useful. Thank you so much. Very useful information for all in general and in particular to vaishnavas about this. There are many good times to visit. But the best times are pre monsoon time or the post monsoon time. The pre-monsoon time is basically the time between 15th of March to 15th of May, which is a really good time to escape the heat of the plains and also the moutains have a warm day time weather. The problem with the monsoon time is that the non-tarred roads are not safe and may cause problems during the rainy season. There may be disruption of flights also, as cloud bursts are common in the Himalayas. Post monsoon season maybe good, is what I have heard from the locals. The time of that is usually after 15th of September and before Deepawali. It usually starts snowing after Deepawali. My visit was during first week of April 2012. Hope the information was helpful. Adiyen is not sure about the location of such a temple. In case adiyen obtains any such information, it will surely be passed on. Adiyen wishes you the very best for your journey. May lord Narayana remove all obstacles in your path and may you have a wonderful darshan at Muktinath. 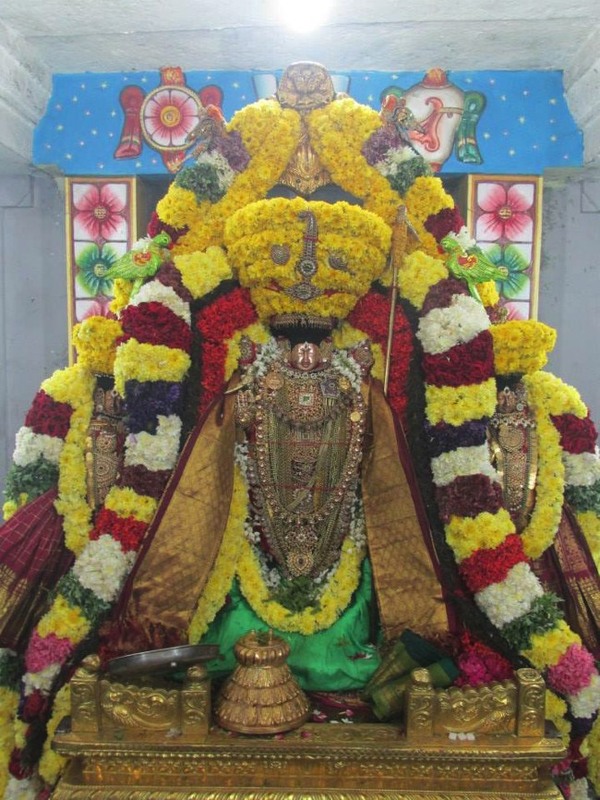 Namo Narayana. As I traveled both ways by road, there was no problem in carrying the Saligramams to India. I just kept the Saligramams in a bag I had got and just carried them back. There are saligramams available outside the Pashupatinath temple in Kathmandu. I am not sure about the authenticity of those (some other person who knows may be able to tell about the Kathmandu Saligramams better), but the ones available outside Muktinath temple on the road between Ranipuhawa and Muktinath (Walking track) seem authentic and good. In fact I purchased a Dozen Saligramams for about Rs.500(Indian Rs), they were absolutely wonderful. Can you please provide me more information about damodar kund? I am planning to visit holy places MUKTI NATH and PASHUPATINATH . I want to organise this in a group from Bahadurgarh ( Haryana ) near New Delhi. May I request to all interested for the holy journey during June 2013.
nice to know that you are interested in going to Mukthinath and Pasupathinath. We are in the name of sri maruthi travels from chennai will assist you for the darshan. please visit my website http://www.srimaruthitravels.com and mail me with details of your requirements we will revert back. Kindly call me on my mob 09444035876 for more details regarding Mukthinath darshan and saligrams. Such a detailed document. Great observation of things and neat presentation. God Bless. A wonderful and very informative website sir, could you please tell me about the charges for a jeep if I book it exclusively. and one more thing, can I take my 4 yrs old son and my mother who is around 60 yrs? As I mentioned charges for a jeep is about 400 Indian Rs per person. So to book an exlusive jeep for yourself you might have to end up paying for about 10 to 12 people depending on size of the jeep. So it may work out to be around 3500 Indian Rs or more. I have seen many old ladies and gentlemen going and visiting. So your 60 year old mother should not face much problem. I am however unsure about altitute related problems among small children. You may have to consult a physician regarding that. With blessings of lord narayana you will surely complete the journey! My mother and I am also plannign to go to Muktinath in May or June 2014. Let me know how many of you want to trvel, so tht we can plan out something. You can send me an email on: kesariamit@hotmail.com and we can discuss more. I will not recommend travelling after 1st week of June. Because of landslides common in middle Himalayas due to monsoon. It would be wiser to ensure you return to the plains before 12th of June or so. Please plan that way. Adiyen wishes the best of luck in your visit. May lord Narayana bless you with his darshan. Is it possible to visit Muktinath in February? Will the road from Jomsom be closed due to snow? Does the jeep go right upto the temple these days- how to cover the last 1.5 kms if someone cannot walk that much? Your comments will be greatly appreciated.Thanks. It is quite possible to reach Muktinath in February as far as I know. But it may be extremely cold for general Indians who belong to the plains. Last 1.5 Km may be covered using motorbikes available for hire for those who cannot walk much. Dear Kaushik ji, I wish to travel to Muktinaath around September October 2014. You you reckon this is a good time? How can I go from Delhi by road and cross the boarder and what will be the maximum cost per person by road and taking the jeep from jomsom? Also I would like to personally collect Sri Shaligram Shila from the gandaki river. Where can I collect this? I want to personally get the mercy of The Lord by getting his mercy in the form if the shaligram than buying it.How to go to Damodar Kund and where to stay as you said it will take around two days. Are there accommodation? Also what papers will be required at the border.Please let me know of your answer. September-October is a time when northern India receives monsoon. So you may face problem on the way to Jomsom. Close to Muktinath, there is hardly any rain. So the choice to travel totally depends on your personal preferences. The Shaligram Shilas on the Gandaki river near Muktinath temple have gotten exhausted. 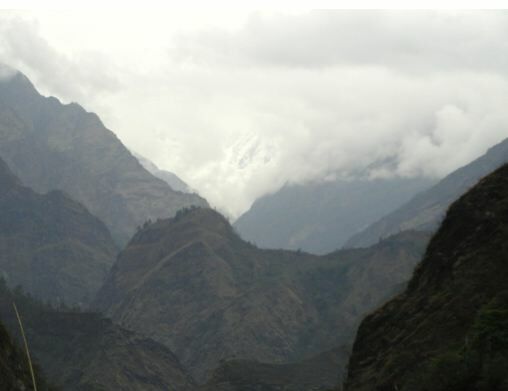 So to get Shilas, one must travel to Damodar Kund with the help of local travellers or Sherpas. I asked Sherpas, they said that it would take 2 days travel by trekking in 1 direction. I would say for Sherpas it might be a 2 day trekking, for usual Indians from Plains it may take more time. The oxygen content is a bit low and it is difficult for many of us to adjust. You will need to stay longer if you want to travel to Damodar Kund and you may have to speak to locals regarding travel to Damodar Kund. Accomodation is available in Jomsom and there is a Dharmashala in Muktinath. However, I am unaware of information regarding availability of accomodation in Damodar Kund. As far as papers are concerned. Please carry any ID that proves your Indian identity. Indians are allowed free entry into Nepal, however that is subject to proof that we are Indians. So you could carry your Indian Passport/Indian voter ID, etc to prove your identity if asked for. We are planning to visit Muktinath temple in end may 2014. Is it a good time to visit? And are we allowed to carry Saligramji to india by flight? We need information on the charges from Pokara to muktinath by road. Pls. specify for individaul & also a group of 30 persons. I have given information about individual bus charges from Pokhara to Mutkinath. I am not sure about whether as a group of 30, you could hire a full bus for your own group. You will have to find that information out locally. I am not sure about Kathmandu, but in Jomson, the accomodation is not very expensive. I believe around Indian Rs. 300 per Head should be sufficient for 1 night. Excellent report of the trip. We were in Mukhthinath recently adopting a more comfortable but expensive air route from Pokara to JOmsom. It would would have been really thrilling to travel by road though less suited for elderly people. Hi Mr.Kaushik……we are planning to go on a Muktinath Trip on September 5th 2014 from our temple.We are a group of 85 people….in which almost 50 are Senior citizens. ONCE AGAIN THANKS MR. KAUSHIK !!! Yes, please add on to the information. It will help everyone a lot. You are welcome sir, please do write about the points that people have asked in comments which I was unable to answer. It will be of great help. May your trip bring you closer to Srimoorthy. I am planning to visit Muktinath in the middle of January 2015, Roads will be in operation ? Can I book/get direct Jeep from Pokhra to Muktinath? Idea about the flight Pokhra to Jomsom will be in place? Road condition Jomsom to Muktinath ? Hotels will be available in Jan 2015? I visited Muktinath in 1986 trekking from Pokhra to Muktinath. Now onece again I like to try by flight / road. If possible please forward the info. I think January might be a bit too cold, but I have not heard of roads being closed in Muktinath like Badrinath for winter. However, I do recommend not travelling in winter as even in hot month of April, the shivering cold of the night is much too hard to bear. Wonderful travellogue……my journey has been further crytallized. Just one question….I am planning to go by motorcycle from Pokhara to muktinath and hope that there are no natural barriers for a continuous journey? Motorcycle ride is possible, there are bikes available on hire at Pokhara. However, the roads are a bit narrow and not tarred. So you will have to be a extra bit careful while riding the bike. I assure you that bike trip is quite possible. I have seen bikes plying on the road between Pokhara and Jomsom. Is saligram can also taken out from Gadaki river in bihar, india. Saligramas are not even available in Muktinath anymore. They have more or less been exhausted, so one must go further up stream close to the origin of the Gandaki river at a place called Damodar Kund in order to get Saligramas. nice to see all those comments reg tour to the holy place, Mukthinath. Special thanks to Sri Kousik for his clear guidance. To visit Muktinath, better between October and November. During this time of the year rainfall is not heavy and so danger of landslide is less. After month of November the temperature starts to go down rapidly and the wind-blow gets harsher after 12 midday everyday. May you all be blessed by holy place Muktinath. This is a place one must visit in his or her lifetime. I looked at the world weather web page. For October it says the average rain fall is 4 inches. Before monsoon time is the most ideal time to visit Mutkinath, it’s not very cold and also less rainfall, means lesser land slides. I visited Muktinath on 19.09.2014 in a group of 40 pilgrims . It was a sunny day. I had darshan to my entire satisfaction by the grace of Lord Muktinath. I’m The information provided by Sri Kousik was quite useful.I thank him a lot. Thank you for your kind wishes. It was all the grace of Bhagwan Srimoorthy. Tempos and buses do ply from Pokhara to Jomsom. Direct and connecting buses are available. But I do not know of any other transport besides Jeep from Jomsom to Muktinath. We are planning to visit muktinath in december end. There are some opinions that it is possible but the cold will be extreme. There are other opinions that temple or path will be closed and dharshan will not be possible. We are a group of 4 in midtwenties. We are ready for the cold but dharshan is very important for us. It will definitely be cold. Also, there may be lots of snow making it hard to reach. Definitely not impossible. By the grace of Bhagwan, it will happen. Good luck! We are a group of 3 planning to visit Muktinath next Oct btwn 18th to 20th oct , via road (jeep) from kathmandu. Mr kaushik plz advice on the weather conditions during the 3rd week of October to travel and reaching Muktinath.TQ! October will be post-monsoon and hopefully it may be good. However, if it is possible why don’t you try April or May? Does any body has experience of visiting muktinath in end of December? Could you pls share & give ur advice on that? 1st Jan 2015 being auspicious vaikunta Ekadashi, I would like to have darshan of lord. I saw the temperatures are close to zero these days. I want to know, Are people visiting these days? Dharshan is possible ? How to get ready for it? 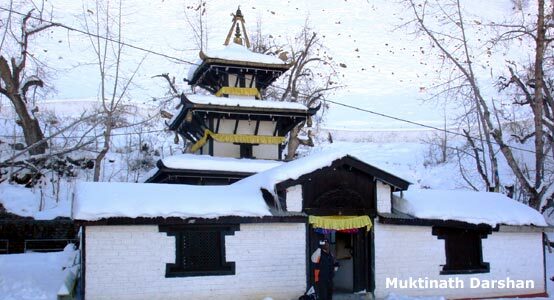 I have heard from people in Muktinath that December and January months become difficult for travel due to snow. It does not snow often, but when it does, the snow is very thick. We 6 friends want to go Muktinath in April or May. Is the fare of Bus is same or higher. and if higher how much? If we take a hired jeep from Pokhra to Jomsom and back Pokhara so how much fare for it. The cost of jeep all the way from Pokhara could be quite high. If all 6 of you share it might work out quite economically. Its been 3 years since my visit, the prices might have gone up. There are details about the costs in the article. You may see for your reference. adiyen dasan with the grace of perumal we plan to visit mukthinath your article is very useful and its a divine message. while we reading the article , we start to imagine the natural scenery and the grace of lord moorthi we r thankful to u ..
Adiyen Dasan! All Perumal krupai! Namaskaram. Very informative page. I have a query. I am engaging (4 adults) an SUV Xylo from Varanasi for our trip to Mukthinath and Kathmandu – from May 22 to May 28, 2015. Can I go by this (Indian) car from Pokhara to Jomsom and engage a jeep from Jomsom to Mukthinath or should I engage a jeep from Pokhara itself. Can anyone guide me please. If I have to book a jeep from Pokhara if available contacts please. Indian registered vehicles need a temporary Nepal registration which can be obtained at the border for a fee. Jeeps are available at Jomsom itself, one can engage jeeps from Jomsom to Muktinath. There is no need to engage one from Pokhara itself. Jai Muktinath! I am also from Chennai & intend to travel to Mukthinath alone by train. I intend to collect more details from you like Boarding,Lodging,climate,Tariff,clothing reqd,whether the trip would be strenuous for a 67yr old man by road,how long it would take to complete including kathmandu,etc besides some finer points. Is it possible to meet u at Chennai to collect these details. Before i conclude,my compliments & thanks to Shri.Kaushik for this wonderful blog sharing lot of informations for the journey. Best Blog i have across for Mukthinath pilgrimage for young & old. Compliments all the participants also for the guidance provided. I am more confident & eqipped to undertake the journey now. Thank you for your kind words Sri Rangarajan swami. It’s all by Perumal anugraham that adiyen’s journey was successful. Adiyen dasan! Dear Rangarajan Sir, We spoke and thanks a ton. Special thanks to Mr Kaushik as well. Govinda. Adiyen Dasan! Very glad to hear of your successful journey. Snow is common in March. Devarirs have enjoyed the Darshan of Bhagwan amidst the snow which is wonderful. Jai Muktinath! From Pokra to Jomsom, are Helicopter services easily available or one has to book in advance. If so, is it on-line or could be done on spot also.Are we to go thro agents? How much does it cost. I think one can avail helicopter directly from Pokhara itself. I think there is a helicopter service to Muktinath from Jomsom, but I am not sure about their timings, availability and cost. 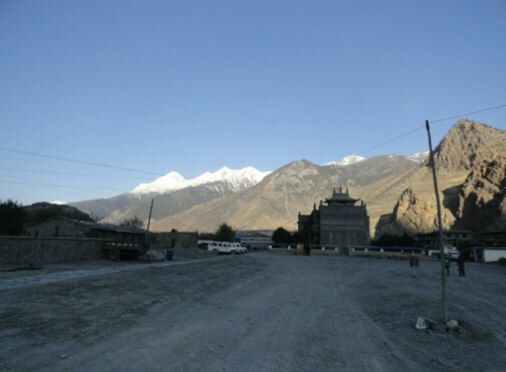 From Jomsom, the journey by road takes less than 2 hours, so it should not be very uncomfortable. Thanks a lot. All important info got. I went in October 2014. I was told the helicopter service is not there. There was an accident and this service is abandoned after that. I went in a group. My opinion: It is better to go with a guide. We went from Pokhara to Jomsom by air. The aircraft is small, propeller driven, has capacity of 18 or so. The luggage one can take is restricted to 5 pounds or so. The agents, I observed has some say on reservations and who goes when. There are Hindi speaking agents at Pokhara. Better to be in the airport in the early morning hours to get the plane for that day. From near Jomsom airport we went by bus(you can walk may be a mile or mile and a half)to another place near the sacred river. Walked a quarter mile or so going over a narrow bridge to the jeep stand. The jeep took us to the bottom of the hill. The jeep ride is jolting and not pleasant. The roads are mostly gravel not paved well(not a tar road). When our jeep passed another one coming in the opposite direction it was thrilling experience. One keeps looking down the valley with the jeep passing very close to the edge of the road. HE makes us pray to HIM more than ever during these exhilarating moments. The scenery viewed from the jeep is awesome. 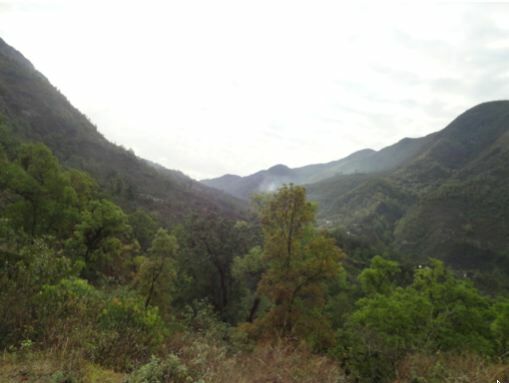 Deep valleys seen with the Gandaki flowing at the bottom. We climbed the hill(not steep but may be tiring for a 67 year old if you breathe heavily after walking 200 yards on a flat surface) and came to a motorcycle stop. We rode piggy back holding tightly to the driver(ladies also did this treating him as brother or son, some wearing salwar kameez just for this ride which they have never worn before. It is better this way than to wear a sari which is flowing freely all the which way the forceful air makes it). We reached the bottom of the Sri Muktinath temple. One has to climb the stairs again to reach the temple. Darshan was wonderful. No words can describe the feeling. One has to be there to enjoy this ‘ananda anubhavam’. 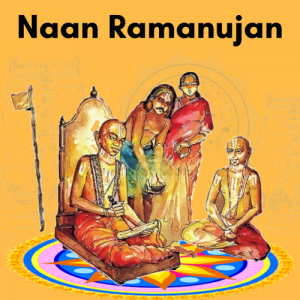 If one has the health, can do snaanam at the temple. The water is very cold. The return trip is the same except the motorbike left us near the jeep stand. Did not climb down the hill. If tired and do not follow strict ‘achaaram’ one can have tea/coffee at the cafe there. There are restrooms also here. I know what I am writing is different from what Sri Kaushik wrote. He has gone by road all the way which is commendable. That may not be suitable for old people. I agree with you. Road trip may not be suitable for very old people. But people below 60 years can definitely travel throughout by road. It’s not very uncomfortable if we are in constant remembrance of Sriman Narayana. Got cleared some doubts about reaching temple from jomsom. With Perumal’s grace, my husband and I are planning a Muktinath trip on the 28th April . We are planning to fly from Kathmandu- Pokhara-jomsum and then to Muktinath. Are there any special precautions or tips for a middle aged couple? Indeed it has been a very encouraging message. Govinda. God Muktinath will guide you and take care of you. Take your passport with you. Ration card, voter i.d.’s are not enough at the airport. I do not have the experience but I heard about it. If you are from Chennai, take at least a sweater and a head scarf and thick socks (two if it is thin) even though it is April and burning there. Muktinath will be cold for South Indian people who have not felt the cold in the North. I want to go to Damodarkunda. If any one earlier visited pl. share your experience and guide me. We were fortunate to visit Mukhtinath in early April. Since our flight was cancelled, we took a jeep. It’s a very tedious journey of about 10 hours and it is not a proper road. 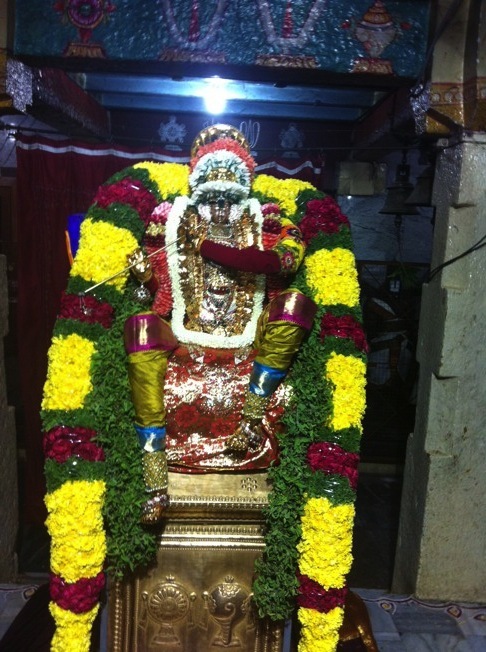 As Sri. Kaushik had rightly mentioned, mere utterance of Sriman Narayanan and HIS thoughts make us forget the tough journey. Dhanyosmi. I will be at 28 sep at mukthinath .what are the offerings permitted there,apart from vasthiram.I had news from web site deity height around 1 mtr and both thayaar height 85 cms.and two mini idols may be garudan and vinayaka 45 cms. I decided to offer elachi malai and dry fruit and dried tulasi leaves is it enough.what are things pilgrims offered during your visit. Will u please share. Any normal offering is permitted as far my knowledge goes. Some people even bring coconuts from the coastal regions and offer. Thank you so much for all this information,we are an older couple and are planing to go to muktinath in mai 2016, we will fly to Jomson or take a jeep and hope to stay for a few days. I am planning to visit Muktinath to bring Shaligram at home for worship. I have a strong desire to worship Shaligram. I am planning this journey at the end of January. Can you pls guide me , a particular place where I can look for shaligrams into the Gandaki river. This journey is of 9 days . any devotee who brought shaligram from Damodar Kund ? Manish: I hope what I say is helpful to you. We went to Muktinath last year. As far as I know none in our group of over 30 persons got saaligram directly from the river. Before going I was imagining looking for it in the river. We were told that it would take 2 days to go and 2 days to come back(by Nepalis and not by us, who are not used to the harsh terrain and high altitudes). None in our group mentioned Damodar Kund. All the saaligrams were bought in stores mostly in Kathmandu. As in all tourist places. one has to be careful in buying saaligramams. Some are not genuine. But according to shastras we should not purchase shaligrams from shops. That is correct. Saaligrams should not be purchased. They should be taken from the river or given to you and those should not have been purchased. but who will give me there? Manish, nobody will give it without asking for money. That is why all devotees purchase it. If some one does not want to buy in a store in the city, it can be purchased from street vendors on the way to the temple. If you do not want to buy, may be, you will be lucky to find a local person to take you to the river and you can pick it up yourself. Good luck. I pray Muktinath perumaaL to fulfill your desire. After reading this we are very clear how to mukti nath …..
Dear brother kaushik and others Adiyenin anandha koti namaskarangal. Lord Sriman Narayana blessed me to complete 105 divyadesams and am embarking on Mukthinath journey,by HIS will alone on 16th march 2016 . i am going from Muscat along with my friend Karpagambal. just want to know how much weight is allowed in flight. since we are new to that side not sure. planning to stay in Mukthinath for a night .samastha loka sukino bhavanthu. May all be happy and peaceful. It’s really great to know the fact that you have visited 105 Holy Divya Desam Temples. Muktinath has been the last one. Very good. Could you please elaborate about the trip in this forum as well at my segis09@gmail.com. I shall ever remain grateful. The weight limit is five (5) pounds for the flight from Pokhara to Jomsom. Passport is required or i.d. from Government of India for this flight. I guess you are asking about this flight only. I do not know about accommodation at Muktinath. Most of the pilgrims go in the morning and come in the evening. Nice article Sir!!! Has really searched for this kind of information.. Finally found it. Thanks for all the detailed info. This has given me lot of confidence that we can do this on our own. I have couple of questions like is this itinerary still valid as i can see that this has been an old article by now? Do we need passports when we are crossing the border? We are going via Gorakhpur, UP. Thanks in advance. Jai srimannaaraayanaa!! Passport or a valid Indian ID which proves your Indian citizenship is important. Normally border posts are not checked as much for passengers as much as goods. Nevertheless, it is very essential to keep a valid Indian citizenship ID. Just curious is the road till Mukthinath motor-able for a motorcyclist? I know this sounds silly, but when Leh and Ladakh are attempted why not this? @Kaushik/Author do you have any thoughts on this peculiar idea? Thanks, Dasan. It is quite possible to go by a good motor cycle to Jomsom/Muktinath. It is very useful information. and is there any id required to cross the border? With the blessings, I had Dharshan of Sri Muktinath on 11.05.2016. Prior to the visit I have gone through several websites including anudhinam. When you are not familair with the local situation, we strongly recommend not to travel to Muktinath during the raining season in June, July, August and the beginning of September because of the possibility of landslides. Beside there is a great change plains do not fly to Jomson due to bad weather. Waiting for days to return from Jomsom to Pokhara by plain is not an exception. So all and all there is a big chance during rain season it will not be the great trip it can be. In November and February it can be cold, but you can travel. December and January are for the die hards. Jomsom – Muktinath – Jomsom by Jeep. Please note that one has to walk around 30 minutes from Jomsom Airport to reach the Muktinath Jeep / Bus station including crossing of the Rope Bridge on the Kali Gandhaki River. A bridge is under construction around 100 meters away from the rope bridge. On reaching the bus station around 8 am, we were informed that the next bus is around 9 am and if 12 people are available then jeep will go. The road (path formed by Jeep/Minibus/other vehicles) has full of stones and almost 2 Km stretch is in Kali Gandhaki river bed!! The condition is still worst after Kagbeni. I do not know how they pass through during rainy season or flood in the river (I did not get answer to this question). The driver warns on severe jerking after Kagbeni. Those who have neck / back bone disorders must be very careful. The Jeep / Minibus stops before the Ranipuwa village and again to walk (Trekking) around 1.6 kms to reach the temple entrance. Bike and horse rides are available (200 – 300 NPR) and they will go up to the Gate (temple compound wall) and from there one has to climb 80 steps. On reaching the temple one can take bath in 108 spouts (the water is from Gandhaki river) and then then take bath in the 2 tanks in front of the temple. The water will be very chill and in some spouts it may get warm after 10am ( if Sun shines). One can get wet at the first one and walk over through quickly. The Temple Puja is conducted by a male priest and after that Tibetans nun taking over. The temple opens 6 am to 6 pm and between 12 noon 1 pm it is closed. You can offer Dry fruits / Fruits for Nivedyam and if you want get back as prasadam then inform them. Suggest that you may give 2 pockets and ask them to return one back to you – the nun speaks Nepali Language only. You can also offer Vastrams. We have offered Vastrams (Perumal and Thayars), Cardamom Mala (Perumal and SriDevi thayar) and Dry Fruits + Mangoes for Nivedyam. A portion of Dry fruits we got back as Prasadam. Please note that most of the pilgrims return back to Jomsom on the same day to catch bus or flight next day morning. If you are staying in Muktinath then you must have warm clothing. Though it is warm during the day, the temperature drops down drastically in the evening and in the night it will be very cold. The altitude is 3800 metres and Jomsom 2700. We stayed in Muktinath on 11.05.2016 and left early morning on 12.05.2016 to Jomsom (special arrangement along with few young Malaysian pilgrims) and cached the flight to Pokhara. All Indians to have a valid ID to enter in to Nepal – Passport / Voter ID / Driving Licence accepted. Though we carried passport, many other passengers had Voter ID only. The Indian Currency accepted all over in Nepal and the exchange rate is INR 100 = NPR160. If any balance to be returned to you then they will give in NPR only. INR 100 and 50 notes accepted widely. INR 500 / 1000 notes can be changed only at big hotels / shops. Everywhere they call IC money. The baggage allowance in Yeti airlines is 15 Kg inclusive of hand baggage. The aircraft is very small and has 18 seats only. The aircrafts goes between the mountains and one can have nice Ariel view. The aircraft will not take off if the wind velocity is high or visibility is poor due to raining. The Shalagrams available now at Muktinath or elsewhere in Nepal are not of Good quality and they are charging NPR 50 for small one and up to NPR 500 for bigger sizes. It can be bargained if one really want to purchase it. Damodar Kund can be reached by 2 days Trekking from Kagbeni and 2 days to return back. Only few peoples treks this route due to limited facilities. You must have a guide and porter. The guideline (minimum) charge for the Guide is USD 20 per day and USD 15 for porter (It may vary from person to person). I saw few ads on visit Damodar Kund by Helicopter but it again depends on weather and number of passengers available for the trip. 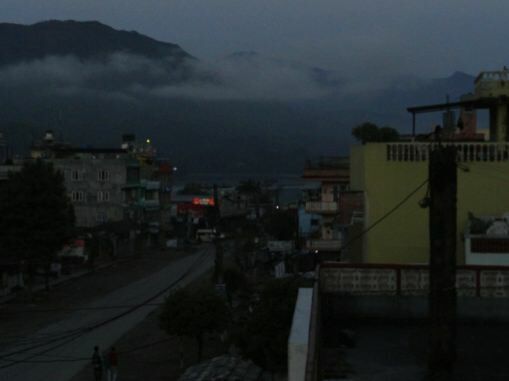 There is severe shortage of Electricity in Nepal and 10 to 12 hours of power cuts is normal!! The local transport (taxi) charges are very high. Hence if you go minimum group of 4/6/8 you can save lot of money by sharing. Also the food is expensive including water bottle. In case anyone wants information further they can mail to me and whatever available with me can provided. Number of Photographs taken during the visit is available and can be shared to interested ones. You may spend one day in Pokhara for local sightseeing – interesting places are there. Thank you for the detailed information. I intend to visit Muktinath in the month of October on a motorcycle, anybody who has visited Muktinath around this time of the year can please give any input on motorcycle journey from Pokhara to Muktinath? Is it possible to reach Muktinath in one day from Pokhara? You should be able to reach Muktinath in a day provided you start early in the morning and you are tough enough to handle about 90kms of dirt track. If it rains it will be even more challenging. The road from Beni to Jomsom is like a trek path and you will be traveling real slow. It will take atleast 5 hours to cover the 71 kms between Beni and Jomsom. The track from Jomsom to Muktinath is not as bad as the track between Beni and Jomsom. But it is not advisable to gain so much of altitude in one day. Muktinath is at 12k ft and Pokhara is at 5k ft. Better thing is to stay at Jomsom for the night even if you make it to Muktinath the same day. Climb high sleep low. We are planning to go to Muktinath during the first week of May, 2017. I have a wheelchair bound son, who may not be able to pillion ride the motocycle or climb the horse(pony). Is there any alternatives for him? Is the road good to push his wheelchair? Excellent article, god bless you. We are thinking of going to Muktinath towards of June. Not sure if this is the right time. Any suggestions? From June to middle of September is monsoon season however you may take a chance as it may not be raining all the days of the month. You may check the whether forecasts in advance for guidance. If you are planning to fly from Pokhara to Jomsom you may contact the airline/s for suggested date/s of travel. Please note that the conditions of Road from Pokhara to Jomsom is not good and it may take longer hours to reach the destination. We have to take all efforts for dharshan believing that we take one step towards the Lord he comes much forward towards us. In Beni, under worst case there is a hotel where you can do night halt. I am planning to visit Muktinath (Thiru Saligramam), Nepal in the month of December. I have more or less finalized the plan. If anyone is interested, please message me immediately within this week. Travel Dates – 9th December to 17th December’16. Thank you so much for this information and all information you give in answering all questions and comments. You’re amazing i must say. Me and adiyens wife are planning for a trip to Muktinath_The Abode of The Lord! Our scheduled period is between 29th november to 3rd of December 16! Adiyen would like to know is it a recommended trip during winter as adiyen have no information ! You must have adequate warm cloths for protection. I m planning to visit mukthinath between 15may 20 may with my parents and children. Reaching pokhra 16may.leaving pokhra 20may. We have complete 3days 17,18,19 in our hand. Within 3 days can we go and come to pokhra after dharshan mukthinath. Is 6 seated vehicle available from pokhra to jomsom. Please give ur valuable suggestion. 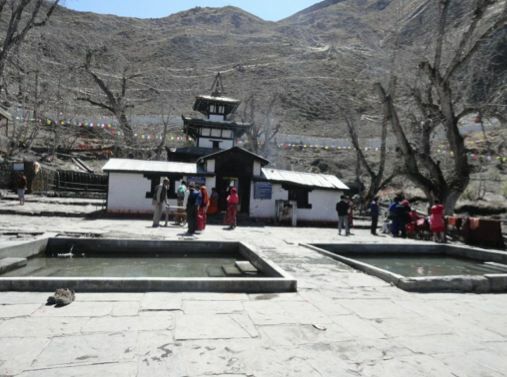 2nd week of May is good time to visit Muktinath Temple. Plenty of four-wheel jeeps are available at Pokhara to go Muktinath. Mr.koushik and Mr muralidharan and others have given their experiences in the routes. As I travelled recently I would like to give some latest details.i have observed few pilgrims without knowing how to go or how they are taken by tour operators. Ok my journey details are given .this is five days trip I made . THIS I made by going in plane only. This may be useful only for few pilgrims who come from far off places.i made it from CHENNAI. But from Jomsom to Muktinath for all pilgrims. After you reach Jomsom .this is a small place.most of the places are walking distance but for those who cannot walk vehicles are available and only thing you have to pay them.i paid Inr 200 to go to airport . Please note BIKE service is suspended now.There is now bus service available from jomsom from your hotel door step for groups.other pilgrims can join in those buses with the help of hotel people. Our bus started from hotel at 1130 .the road from jomsom itself is bad.for those not accustom to bus travel be careful.they may take inside the river where there are no roads.the regular drivers only know how to drive that route for half an hour and then come to ghat roads.it takes 1 1/2 to 2 hours. Reached Ranipuva village bus stand 1pm. And some times have to wait depending on crowd. Just 2 kms up you have to go.its not hard for youngsters but elderly people may find it difficult.better they go by horseback.Have to pay 300 inr. Were there for 45 minutes.had good Darshan of Narayana. Returned by walking to bus stand by 3 pm. Reached jomsom at 530 pm. Myself 67 years and my wife 63 we both only made it. We have covered 105 Divya Desams and 106 is MUKTINATH. Only LORD MUKTINATH only taken us. I see lot of pilgrims having fear of going to muktinath because if routes and facilities. There is no problem at all.if you organize properly every thing will go smoothly. Or sms 9381000407.i will call back. Its better to go from April 1st to May 15 TH. Iam getting ready with my Blog soon and I will put the link here with photographs. does not operate any travel tours within Nepal. Most of the Agencies use their name and conducting tours. Please be careful when sending advance amounts to them. My suggestion is those who want to go muktinath they themselves can organise their own tour. Its very easy to go and come. Only thing is you must be in a position to buy the tickets upto Kathmandu and you can reach pokhra from there by air or bus.stay at Pokhra and depending on the availability of air tickets to Jomsom you can reach muktinath and come back to Kathmandu. Beautifully narrated, Sir. Thanks a ton. Govinda !!! Very good and helpful information. Thank you very much.